(UID) Number. As per the law; Emirates ID card holder or their legal representatives are required to report the loss or damage or theft of their Emirates ID card to the nearest Emirates ID registration centre within 7 days and apply for a replacement. The holder is responsible if he doesn’t report the loss or theft within the stipulated time. Otherwise he or she will be legally bonded for not informing the authority. The Identity card holder is responsible for notifying the authority when his/her Identity card is lost or stolen. They should visit the nearest registration center in order to cancel the Identity card and issue “ID number certificate”. This will initiate the process for issuing a replacement card. The authority provides two ways to apply for the replacement card. The applicant can use the authorized typing offices or through the eform available on the authority’s website. Then the applicant has to visit one of the authority’s registration centers located across the UAE to finish the procedure. Visit the nearest Emirates ID registration centre and request a stamped certificate of ID Number. Submit the required documents at any authorized typing centre. A Card Replacement fee of AED 300 has to be paid. The payment is only accepted in cash or credit card and personal cheques are not accepted. The replacement Emirates ID which is linked to a residency visa will expire on the same date as the original ID card. As per the new residence visa rules the expatriates who has salary less than Dh20,000 will not be eligible to sponsor their parents on residence visa in the UAE. The new visa ruling requires applicants to provide the proof of either having a minimum salary of Dh20,000 or a monthly payslip of Dh19,000 plus a two-bedroom accommodation. This new development has arised concern for residents who was here for a long period. This will disallow low scale salary holders from getting their mother or father permanently to the UAE. According to earlier visa rules which was in place until a few weeks ago, expatriates with a proof of Dh10,000 salary or Dh9,000 salary per month plus accommodation was able to sponsor their parents on a permanent basis. The minimum salary clause is updated in the General Directorate of Residency and Foreigners Affairs new list of requirements for those seeking to obtain residence visa for their parents under ‘Humanitarian Cases’. The rule is issued by the Ministry of Interior and will be applicableall over UAE. Before this rule the actual requirement was Dh7,000 or Dh6,000 plus accommodation. As the current rules the residents wanting to sponsor their parents should also submit the proof that they are living in a two bedroom apartment. The tenancy contract should be officially attested in the Municipality or Ejari in Dubai. Similarly, the labour contract which has the proof of salary must be attested by the Ministry of Labour. The sponsor must also pay a security deposit of Dh2,000 per parent after getting approval for sponsorship from the special committee that handles Humanitarian Cases. Apart from these, UAE expats must also provide the letter to prove that their parents are entirely dependent on the sponsor and that there is no one to take care of them back home. This has to be certified by the concerned embassy or consulate of the sponsor’s home country. It’s not clear about the status of parents who are already in the UAE on residence visas. As per the gulf news report no comments was available from DNRD. The new Dubai health insurance law has been formulated which will be implemented from the beginning of year 2014 in several phases which will be completed by 2016. This will bring every Dubai resident under the health insurance protection for residents offering the basic health coverage. Dr Haidar Al Yousuf, Director of Funding at the Dubai Health Authority (DHA) has said that the entire population of the Dubai emirate will come under the scope of the new health insurance law including nationals and expatriates. The health insurance scheme for visitors will be reviewed later. When the new rules will come into effect, the living in Dubai will require a mandatory health insurance scheme. The insurance scheme will replace the DHA health card and with the implementation of this law there will be no health card for residents living in Dubai. All DHA facilities like clinics and hospitals will become part of the insurance network. The DHA health card will be replaced by the insurance card. Companies have to provide a basic health coverage plan with an annual premium between Dh500-Dh700 and a max. insurance cover per person per annum will be Dirhams.150,000 for residents living in Dubai. As per the law companies cannot charge the employees with the insurance premium and DHA has strict punitive laws in force to take action if an employee files a complaint. Visit visas to Ajman can be obtained for immediate members in the family. The residents of UAE who has a monthly salary not less than AED 4000 or AED 3000 plus accommodation can sponsor a family member for the visit visa. Short term visa is valid for 30 days and Long term visa is valid for 90 days. Extensions are not allowed beyond this period. Fees for Short term visa is AED 620 including application fees and typing fees. Long term visa costs AED 1120 including application fee and typing fees. A security deposit of AED 1000 has to be paid, which will be refunded after your relative has left the country. Original receipt of deposit should be submitted along with refund application. Application form filled at a typing centre. A clear copy of the sponsor’s passport & applicant (family member) passport copy. Marriage contract duly attested from Ministry of Foreign Affairs in the case of sponsoring a wife or husband. Attested work contract if the sponsor is working in a private company or a salary certificate if working in government. Go to any of the authorized typing centre & get application form typed. Go to DNRD centre & submit along the application along with your documents in Visa Section. Visa will be issued at the same time if documents are correct. Send either original visa or copy to your relative. If only copy was sent, then original should be deposited the airport before the flight arrival of the relative. 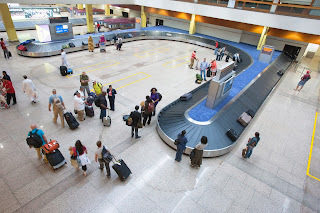 Hala service in Sharjah airport and Dnata in Dubai airport provide this service. The Sharjah Visit Visa rule applies to tourists who wish to spend more than 14 days in the UAE and for people coming for family visits as well as for those people on long-term business visits. To get a Visit Visa requires the sponsorship of any UAE resident or any registered company or hotel/tour operator licensed to operate within the UAE. This type of visa is valid for entry within two months from the date of issue.The Visit Visa is valid for 30 days and is renewable for a total stay of up to 90 days. Dhs. 500 fee is charged for the renewal process. A Visit Visa holder can change his status to residence or employment provided certain conditions are fulfilled. SATA is a accredited UAE based travel agency with 9 branches located in Sharjah, Ajman and RAK. Tourist visa is available for one month and further extendable for one more month and visit visa for 3 months are also available. There is no security deposit for families and no need for salary certificate or rental agreement. The sucerity deposit has been reduced to Dhs.2000 only for sponsoring friends and relatives. 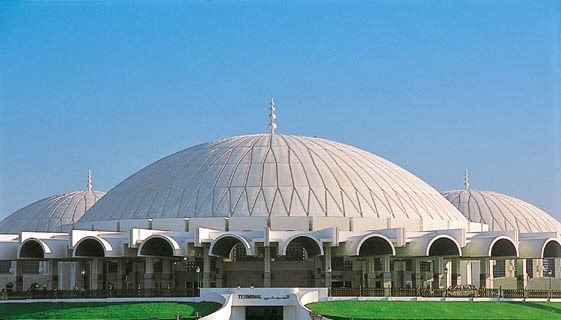 The visit visa for Abu Dhabi and Sharjah is available to the visitors, who are planning to stay for more than 14 days within Sharjah and Abu Dhabi. 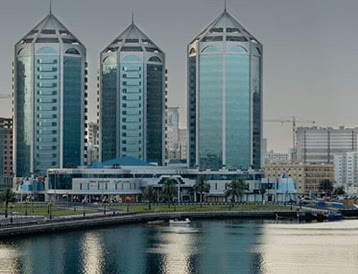 Visa requirements for entering Sharjah change greatly between different nationalities and it is always advised to check with immigration rules before travelling. Clear passport copy of guarantor employed in UAE with visa page (2sets), with a minimum 3 months validity of passport and visa. Clear passport copy of the visitor (2 sets), with a minimum validity of 6 months. Three passport size clear color photo of visitor with white background. Clear copy of passport, front and back page. Processing time will be 3 to 4 days, and the validity of the visa is 14 days after visa issuance. Dubai is to begin the process for checking the eligibility of passengers to enter the UAE upon ticket reservation in their home countries and before the arrival in the emirate. The verification system known as ‘Advance Passenger Information’ (API), is part of the federal project to be implemented across the country in the near future. Col Khalid Nasser Al Razouqi - Assistant Director-General for e-Services division at the Directorate of Residency and Foreigners Affairs in Dubai, said that the API system is still under research and will help the department in collect all information needed about passengers. The advance passenger information system will help the immigration and residency naturalisation authorities to determine the status for a passenger whether he is banned from entering the UAE or not. Col Al Razouqi said that the system will help air carriers to identify the banned passengers, and cancel their reservations in the beginning before their checking in at the home countries. Otherwise officials will capture them at the time of arrival and ensure the return of passenger through the same flight company. The API system will ensure that the passengers have all the documents required and determine the possibilities of invalid, fake or expired entry visa. It also checks whether he or she is wanted by police or banned from entering the country. From telemedicine consultation to self check-in portals at UAE hospitals, a series of smart applications will make life more easier for patients in the UAE have been launched at Gitex. The Ministry of Health (MoH) and Dubai Health Authority (DHA) launched the e-applications that will put healthcare facilities in the UAE on the world map for futuristic and smart apps usage in healthcare system. DHA plans to promote the “Dubai Model for Smart Health Management” and launch it from Dubai to the world. Gitex Technology Week in Dubai will run until October 24. DHA also plans to launch Electronic Medical Record (EMR) system that will enable patients in UAE to access their medical records from anywhere in the world. Starting from October 15th, the citizens of United Arab Emirates will be able to get multiple entry visas when they visit Japan. 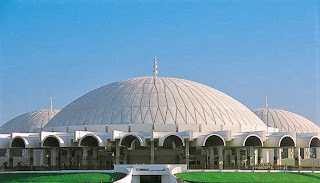 Reports from the Japan embassy says that the visa will be valid for three years and is classified into four categories. 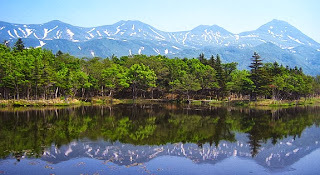 A visitor can stay in Japan for a maximum of 90 days in each visit. Reports also states that temporary applications are open for tourism, business and for visiting friends and relatives. Japan intends to boast its tourism sector through this move. 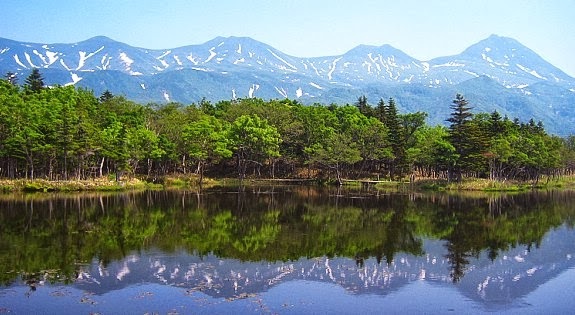 The move aims to increase the flow of tourists and investors from UAE to Japan. New halal restaurants and masjids are builted in major cities of Japan to facilitate the needs of Muslim tourists. According to media reports, applications can be made at the Japanese Consulate General in Dubai or at the Japanese embassy in Abu Dhabi. This article explains the normal procedures to be completed at the Residence Department to get a re-entry for people who stay outside the UAE for more than 6 months with a valid residence visa. The sponsor has to submit a typed application for issuance of re-entry permit for people who stayed out of the UAE for more than six months. The request should submitted at the General Directorate of Residency and Foreigners Affairs. The following documents are required for this purpose. 3- A copy of the sponsored residence visa (Valid). 2.- The sponsor's and sponsored's passports copy. 3.- A copy of the sponsored residence visa (Valid). 4. A copy of trade / commercial license. 5. A copy of establishment card. Fees: AED.130 Permit fees to be paid at the CBD Bank counter in the residency department. 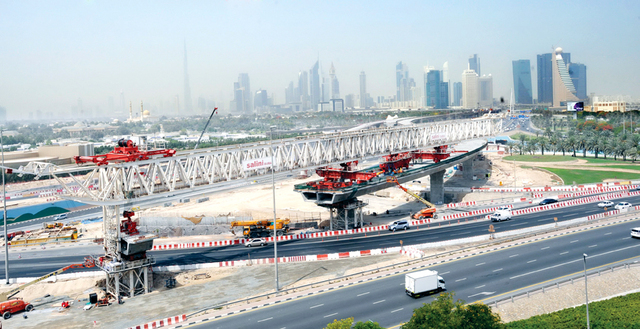 Additional delay fine will be charged as AED.100 for each month. This will be exactly calculated by the immigration officer in the system after submitting the application. Then you will have to pay it in the bank counter. The arrival airport should be mentioned in the application form and person should come to that airport only. This permit is valid for 14 days only and person should come within these 14 days. For students studying outside the country have to submit their University Identity card to be exempted from the permit fees. This permit will not be issued unless the residence visa of the person who stayed outside is valid. JQRS9NU2PQUQ. 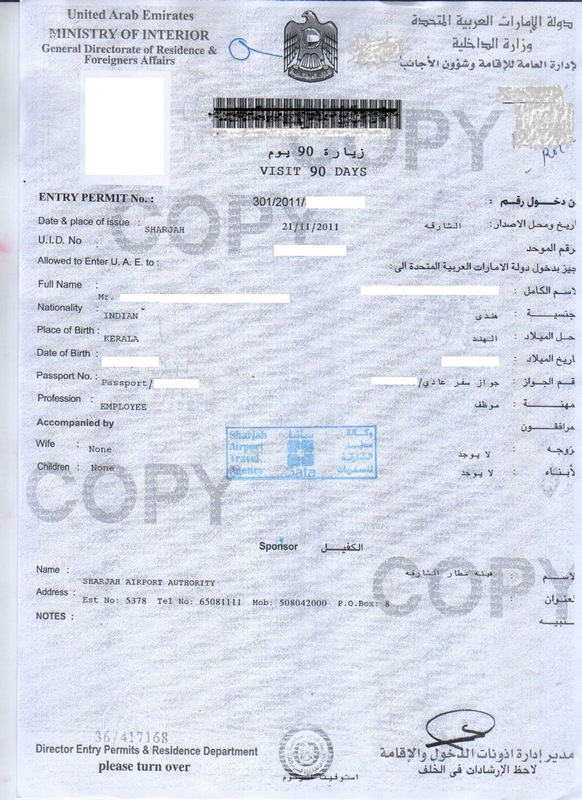 UAE Visa has now been added to Technorati. 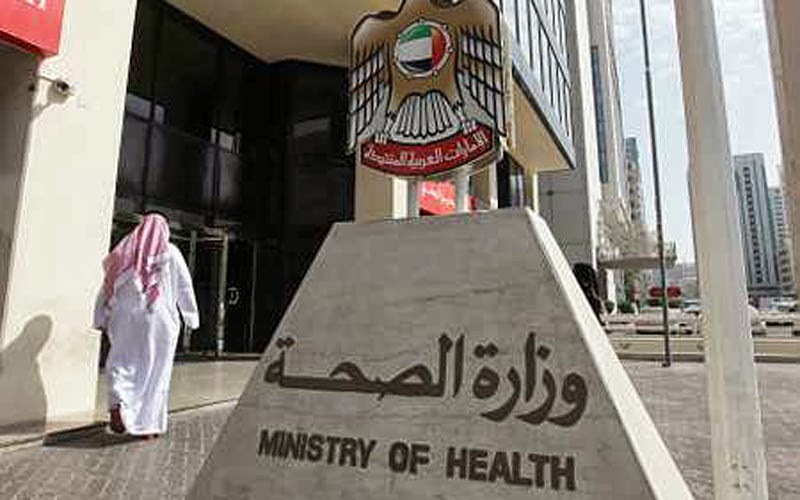 Expatriates will have to pay double the fee for getting a medical service from the government hospitals and medical centres in Dubai and Northern Emirates if a valid ministry-approved health card is not presented. The rule will be effective from starting September 30. The fees for issuance of a new health card and its renewal costs will be Dirhams 500 for all ages, according to the Cabinet decision issued last month by His Highness Shaikh Mohammed bin Rashid Al Maktoum, Vice-President and Prime Minister of the UAE and Ruler of Dubai. The desicion describes the fees for health card and curative and diagnostic services for non-nationals. A fees of Dh300 will be charged for the replacement of a lost card. A release issued by the UAE Ministry of Health on Tuesday said that the date for the implementation of the decision had been setup on September 30. Health cards are mandatory when a new visa is being issued in UAE. However, this ruling by ministry has not been strictly implemented for several years now. But starting from Septermber 30, all new residence visa stamping will require a health card from the UAE Ministry of Health. Residents in Sharjah can now track the status of their Visa applications at the touch of a button. The new service from Sharjah Naturalisation and Residency Department is available at the new touch-screen terminal installed in SNRD office. The new terminal enables customers to check the status of applications. The applicant doesn’t need to take the token and visit the counter to know the visa status. The barcode scanner installed at the section allows the applicants to scan the visa application reference number which will be provided to them after applying at the SNRD. The centre also offers a variety of services such as typing out different forms, photocopying, consultancy, photography and advice on issues related to immigration and residency. The barcode machine will give information about the issue date of visa, whether it has been approved or not, and the expected date of delivery. The visa section of SNRD has now special counters to process the visas for housemaids and investors. You will need to visit the counter personally to check the visastatus. You can get residence visa for your son who is over 18 age under your sponsorship fulfilling certain rules. . You will be able to renew his residence in UAE. There is no need to cancel the visa. 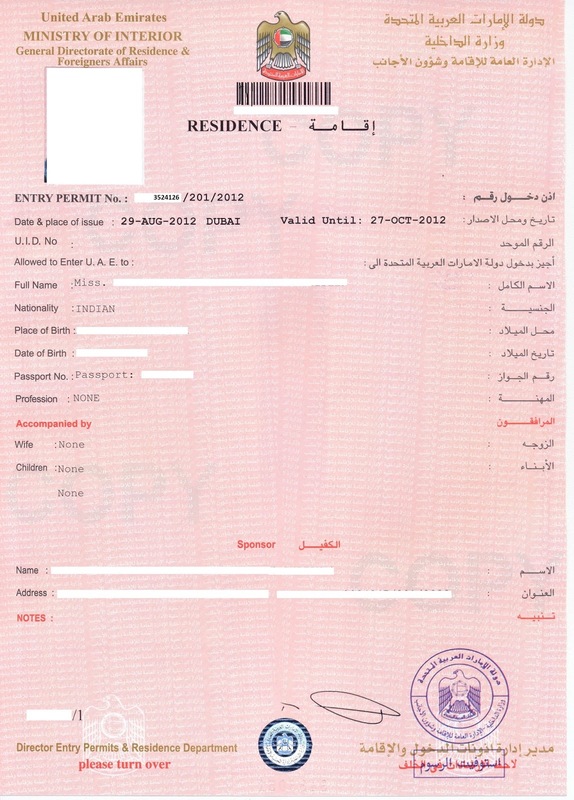 For example if the son’s residence visa which expires in September (at that time son is under 18 age), the sponsor’s son has 30 days after the expiry, and when the period of 30 days has lapsed, a new residence permit may be applied for his son if he need to continue his higher education within the UAE, and in this event, the new visa will be valid only for one year and must be renewed annually. 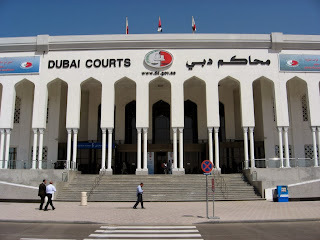 In a move to solve the problem faced by many expatriate residents who are not eligible to sponsor their sons aged above 18 years unless they are students of recognized educational institutions in the country, the Dubai Naturalisation and Residency Department (DNRD) has decided to treat residence visa applications for this category on a humanitarian grounds. "All the cases classified under the said category are issued residence visa on humanitarian grounds whether they are parents, sons, sisters or brothers provided they furnish a security deposit of AED.5,000. This amount is to be paid only once when the residence visa is granted for the first time and is refunded to the applicant upon visa-cancellation," said Colonel Saeed Mattar bin Bleilah, Director of the DNRD. The AED.5,000 security deposit would not be required every year, for the renewal of the visa. At the time of renewal of the son's residence visa, only the residence fees need to be paid and not the Dh5,000 deposit which is collected only once, irrespective of how many times it is renewed annually. As per the UAE Federal Entry and Residency Law and its by-laws issued in a Cabinet order in 1997, an expatriate parent could sponsor his children on residence visa until the boys has reached the age of 18 and until the daughters got married regardless of their age. 1. GCC residents who have a relevant profession and public sector employees and their families and employees team because these can have a thirty day visit visa since coming to United Arab Emirates. 2.The countries of Western Europe , among which is Spain , the United States , Australia , New Zealand , Japan , South Korea ... , can enjoy a thirty day visa since coming to United . 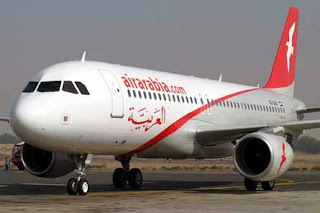 This list may vary and is best to consult the Embassy or nearest UAE airline you go flying. b individuals ( family or friends ) who reside in the UAE can apply for a Visit Visa.The Visit VisaIt is for those who want to spend more than 14 days in the UAE. The sponsor must pay a refundable guarantee 2,000 dh . This visa is valid for 60 days from arrival . During the duration of your visa , if you have no job, and you can search the national newspapers such as Gulf News and The National ( who are ) or go to the Embassy , Consulate or Business Office of your country, where you may provide information or give you some . 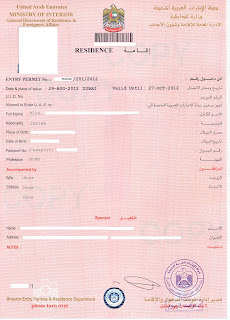 Many people coming to the UAE with a visit visa or other and decide to extend your stay , you should know that you can always renew paying up to maximum period of 90 days in one of the immigration offices spread across Dubai , being very useful in before the page Government official , www.dnrd.ae to see where they are located and what information and money are going to ask . Another way to renew your visa is out for the nearest border as Hatta Oman or Oman Dibba Fujairah per share , it is also an option for Musandam Oman area but there are always queues. This way of spending not involve any extra expense. Ayala Land, one of the real estate arm of the Philippine conglomerate Ayala Corp, has been conducting ocular visits to Filipino homes in Dubai and Abu Dhabi since Saturday to draw up exploratory talks with the UAE business partners and plans to build affordable low cost decent accommodations for Filipino expatriates in the UAE. Ayala Land team is headed by its President and CEO, Antonio Aquino, came here from Singapore where it also started its first Asian offshore office, aiming to tap the large scale interest there in overseas property investments. Aquino said that from the UAE, the group will proceed to UK and then to USA where many migrant Filipinos work and live. He said that for the next three years, Ayala Land will set up these affordable low cost decent accommodations in the UAE after the exploratory talks with the UAE business partners and approval by the authorities. According to Aquino, Ayala Land has been offering a wide-scale portfolio with all types of real estate properties, ranging from high-end to affordable houses in the Philippines nationwide. Ayala Land signed one of the largest deal in the history of privatisation of Philippine government assets involving the purchase of Food Terminal Inc (FTI). FTI is the sprawling 74-hectre parcel of agro-industrial government property in Taguig City that fetched a P24.3 billion price. Ayala Land has also invested P15 billion on Atria Park District in Iloilo, a province in eastern Visayas south of Manila. This project is expected to draw 10,000 jobs during its construction phase. Before flying to Dubai on Saturday Aquino did a more aggressive push in Singapore, which saw Singaporeans comprising 40 per cent of the investors in Philippine real estate projects that day. Ayala Land has now started in Makati City, the riches commercial district in the Philippines, and has been behind big projects in the country, including the Bonifacio Global City, Cebu Park District, Abreza in Davao, Centrio in Cagayan de Oro, and its newly-opened project in the Visayas, which is the District Northpoint in Negros Oriental. Emirates airlines has the online visa system for citizens from 56 countries, including India, Pakistan and the Philippines, visiting the UAE. Please find below a step-by-step guide to get your visit visa to UAE through Emirates online. After booking your tickets on Emirates Airlines click on "Manage a Booking" on www.emirates.com and follow on-screen instructions. One-way flights are not eligible. Pay $57 (Dh209) for a 30-day visa and $44 (Dh162) for a 96-hour visa (plus $17 (Dh62) service charge and sales taxes for both). Citizens of some countries may have to pay deposit of Dh1,000. 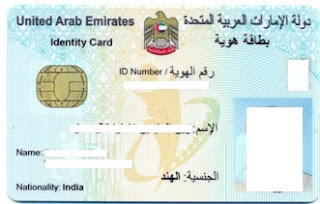 Upload clear copies of passport page having your name, DOB, passport expiry date, photograph and proof of residence for transfer to Dubai immigration. Track the status of visa application on "Manage a Booking" using visa application number. Visa will be delivered electronically within four working days. All payments are accepted by credit card. Security Deposit will be reversed on credit card upon confirmation of exit from the UAE. Indian citizens are required to make advance visa arrangements to visit the UAE. Indian citizens who wish to travel to the country for either business or tourist purposes must need a sponsor. It needs the sponsorship of any UAE citizen, travel agency, hotels or resort certified to function within the country. Resident expatriates can also sponsor their immediate blood relatives for visit visa. The type of Dubai visit visa that you require to enter into the UAE depends on several aspects such as your objective of visit and its duration. Please review the following information properly and make reference to the rules detailed below. Also please note that Dubai visit visa rules may be modified at any time so it is always recommended to check with the Indian embassy before traveling to Dubai. Now Indians travelling to visit Dubai can get a visa from Emirates Airlines. Approved visa is issued always as a single entry visa. Dubai is one of the seven emirates of the United Arab Emirates and is the largest growing city in Middle East with population from 279 countries. Dubai is an excellent place for shopping and living with the comfort and security. Dubai is one of the best destinations for both leisure and business travellers by continuously evolving broad and diverse tourism offerings. Recently the place where one can accept a wide range of landscapes in a very small area. You need to get your visit visa for UAE before leaving India. There are certain requirements to be completed to get visit visa for UAE. Before applying the visit visa for UAE, please ensure that you are very clear on your purpose of visit. If you have any doubt please leave your comments. 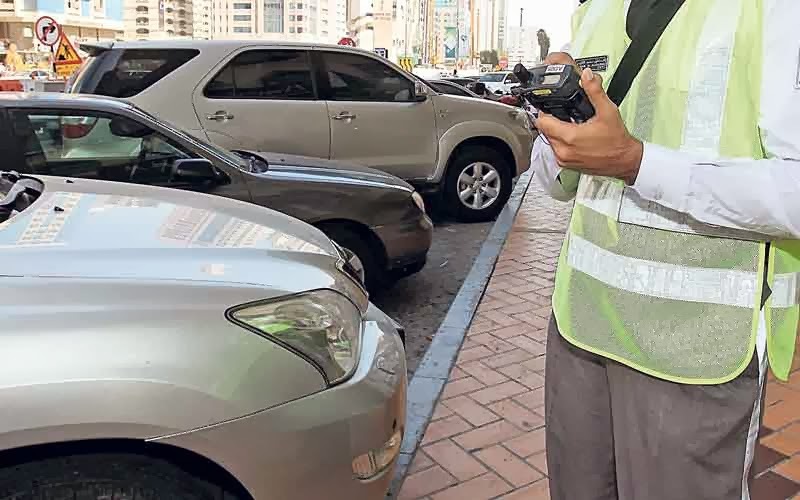 The IRIS recognition system has denied entry to 351,318 expatriates who were deported earlier from the UAE when they tried to re-enter the country. The system denies entry after undergoing an eye scan at the country’s different entry points since the establishment of the iris recognition system in 2003 till the end of last December, the General Directorate of Residency and Foreigners Affairs announced on Wednesday. The announcement was issued at a symposium on the role of IT in developing the corporate performance hosted by the Dubai Government Excellence Programme (DGEP). The symposium was attended by Abdulla Al Shaibani, the Secretary-General of the Dubai Executive Council; Ahmed bin Humaidan, the Director-General of Dubai Smart government; Major-General Mohammed Ahmed Al Mirri, the Director-General of the General Directorate of Residency and Foreigners Affairs - Dubai; and Dr Ahmed Al Nusairat, the General coordinator of DGEP. The DGEP forum saw a number of lectures delivered by the experts and specialists in the fields of innovation, government excellence and management. The iris recognition system is used by the immigration department to record the iris details of people when they enter UAE for the first time. These details are later used when they are deported from the UAE and try to reenter the country. In a significant decision by the UAE government, the ban on re-entry into the country has been revoked for the expatriates who leave their jobs or cancel their residence visas. This was said by Lt Col Rashid Al Khidhar, Legal Advisor in the General Directorate of Naturalisation and Residence department at the UAE’s Interior Ministry. Earlier, when expatriates were banned for work visa cancellation by the Labour Ministry, they automatically got a labour ban stamped on their passports by immigration authorities, thus barring them from entering the UAE during the six month ban period, the ‘Gulf News’ reported on Tuesday. The re-entry ban has been now removed, and the workers who got labour ban by the Labour ministry could re-enter the UAE on any kind of visa other than a work visa, Khalid told the newspaper. Dubai Residence visa applicants are required to go through the medical fitness test in Government medical fitness centres to get the visa stamped in your passport. The medical centre locations are organized and staff is very helpful. Normal medical test application may take you two or three hours to get the blood and x-ray tests to be completed. The report of normal application will come through Zajel courier service after two days. Below is the list of Medical Fitness screening service centres under Dubai Health Authority. Satwa Medical fitness centre is now temporarily closed for renovation. As per the provisions of Article 113 of the UAE Labour Law, an employment contract may be terminated. The law states that “A contract of employment shall terminate in any of the following cases by the either parties. Residents can now check the UAE Visa Status through online. The real time website of immigration is now enabled to give the status of Entry permit validity, eDNRD Application Status, eForm Appplication Status and Residence validity. The service is provided by GDRFA-Dubai through eDNRD website. Dubai city is a secure place in the world with different nationalities that has endless ways to enjoy and gain experience. The online service has enabled the completion of transactions of GDRFA through online systems. This has reduced the time spend in the administration building or service centers of immigration department. People who need help with their household chores can appoint domestic help under their sponsorship in Abu Dhabi. Domestic help includes house maids, babysitters, cooks, drivers, servants, etc. For this the sponsor should be in the category with certain conditions set by the immigration department. The domestic help may be recruited through an authorized recruitment agency but the employing person should be the sponsor of the recruit and is responsible for arranging the visa for the domestic help. The costs involved for visa process and providing accommodation for the sponsored is also the responsibility of Sponsor. Expatriates can only get house maid visa. The resident expatriates must have a minimum monthly salary of not less than AED 6,000 to sponsor a house maid. The sponsor should submit his work contract if he is employed in private sector or salary certificate for public sector, along with a list that give the details of the residence visa of family members under his sponsorship. If the house maid is from the same nationality fo the sponsor, then a letter is required from the sponsor’s embassy/consulate in the UAE to prove that there is no relationship (kinship) between the sponsor and the housemaid. Expatriate residents can sponsor a housemaid only if they are living with their families, and the application will be rejected if there are no residence visas for all family members under the sponsorship of the head of family. If the sponsor is an investor, the documents certifying that the fulfillment of the special conditions for business partners and investors are required along with the application for house maid visa. This includes a university degree for the sponsor in his area of activity or a bank guarantee of at least 70,000 Dirhams paid at General Directorate of Residence and Foreigners Affairs - Abu Dhabi (GDRFA). Indians are required to take a sworn affidavit or NOC to issue new passport for spouse or children in India. As per the new passport rules; to apply a passport for a minor, both parents should be present to apply, or if one parent is absent then a consent in the prescribed format is needed which should be duly attested by the Indian Consulate/Embassy if one parent being abroad. This consent or sworn affidavit in original should be submitted along with passport application. The affidavit from parent residing in India also should be submitted. This NOC is required if have to apply for new passport for your children / wife in India and you are residing in UAE. You will need to send a No Objection Certificate (NOC) affidavit to apply for the new passport for children and wife in India. The following documents are required to get the same from the Indian Mission in UAE. The service is available on Friday at Indian Association office in Dubai, Sharjah and other emirates. Personal presence of the father /mother/ husband making the NOC affidavit. Valid passport in original and a photocopy (first / last and valid visa page). Sworn Affidavit in the prescribed format along with a photocopy. (This document has to be signed in the presence of the Consular Officer). In case of minor born in India, copy of the birth certificate in English has to be produced. Old passport copy incase passport is being renewed. If both parents are present in India at the time of passport application for new born; the this sworn affidavit is not required. The visa number can be found on the Visa sticker stamped in your passport page and also on new entry permits if you are coming to UAE for the first time. The number can be seven or more characters long and is printed next to Entry Permit No. in the new entry permits and located next to “File” in the visa sticker on your passport. Be advised that the "Barcode Number" or “Control number” under the barcode is not the Visa number; it is purely used for the recognition by the barcode readers in the immigration department. Visa number is given as Entry Permit No. starting with 201/YYYY/XXXXXXXX in new entry permits and a number starting with 201/YYYY/XXXXXXX next to "File" in the sticker stamped in your passport. Please click here to check the status of your UAE visa application and follow the instructions. If your application is approved it will show the status. The toll-free number (8005111) of immigration department’s Amer service will provide your enquiries on visa and residency issues of the General Directorate for Residency and Foreigners Affairs in Dubai. The new eDNRD system is applicable for all applicants and should use eforms for the applications. Can I renew my residence visa 70 days before its expiry because I am going for medical treatment and I cannot comeback to UAE before the expiry of visa. You are kindly requested to follow this matter with the residency section as the residence visa can be renewed one month before or after the expiration of your residence visa. A work permit replacement is possible if the establishment need a new work permit while they have another approved one that is not used. Instead of submitting a new application for obtaining a work permit they can use the approved one with due fees have been paid along with the application for replacement. The UAE Ministry of Labour will issue the new permit. The following conditions should be fulfilled to obtain the permit. The business license shall be valid. The bank guarantee and fees of the work permit to be replaced shall be paid. Replacement shall be made within the permit’s original validity or renewal period amounting to 60 days. Replacement shall be made a maximum of two times. The original entry permit issued from the General Directorate of Residency and Foreigners Affairs shall be cancelled. No change shall be made in the profession or gender. Nationality may be changed provided that the establishment shall pay any extra charges arising due to transferring the establishment from a category to another for any other reason. The worker's passport shall be valid for a period of 6 months. The worker's age shall not be below 18 years and shall not exceed 60 years. In case of an application for a doctor, pharmacist, nurse or any other technicians involved in medical professions, a letter of approval from the Ministry of Health or medical authorities shall be attached. In case of an application for private school teachers, a letter of approval from the Ministry of Education shall be attached. In case of an application for sports trainers, copies of training certificates approved by the General Authority of Youth and Sports shall be attached. The original entry permit issued from the General Directorate of Residency and Foreigners Affairs shall have the cancellation seal on it. Applications for replacing work permits shall be printed at printing offices or establishments participating in the Ministry's e-forms program. Documents required for processing the application shall be scanned through Tas’heel Program, and the application shall be electronically transferred to the Ministry in order to be verified and to check the fulfillment of required conditions and documents. 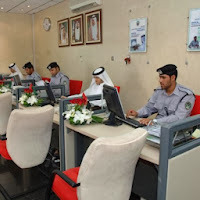 In case of fulfilling the conditions and documents, the transaction shall be executed and the approval shall be electronically transferred to the Ministry's website: www.mol.gov.ae). In addition, the application shall be referred to the General Directorate of Residency and Foreigners Affairs for completing procedures. In case of any missing documents, the application shall be rejected and the customer shall submit a new application. The applications can be made at typing centres, service centers of "Tas’heel", or through establishments participating in the Labour Ministry's e-forms program. As per the current rules of the UAE Ministry of Labour a person holding the residence or employment visa issued by any of member country of the GCC will not be issued another one in the UAE. With this regulation a person having residence or employment visa from Kuwait, Oman, Bahrain, Qatar and Saudi Arabia will not get a work permit in UAE. They should cancel their current one before applying for a work visa in UAE. For example: If you are working in Oman with an Oman residence visa on your passport and got a job offer from a Dubai company and want to come to the UAE. 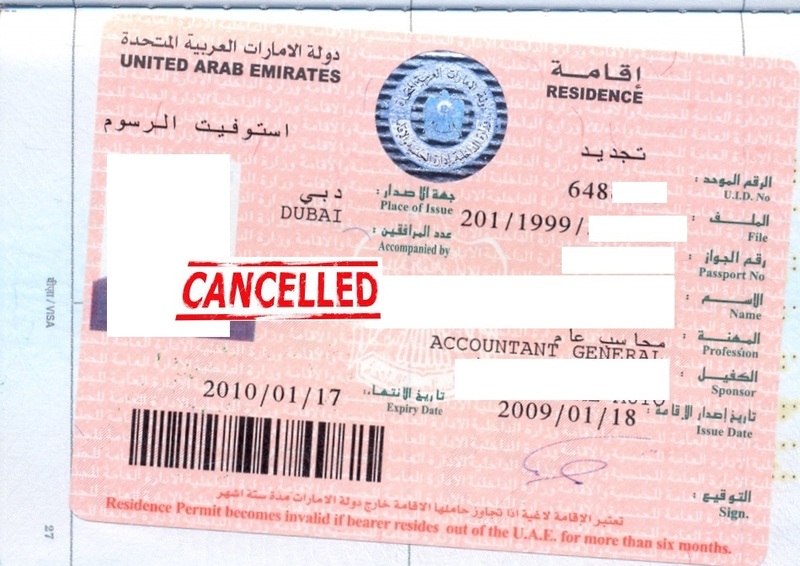 You cannot move into the UAE for employment without cancelling your current Oman residence visa. Therefore, in order to obtain a work permit from the United Arab Emirates you should cancel the employment visa held by you from the GCC. 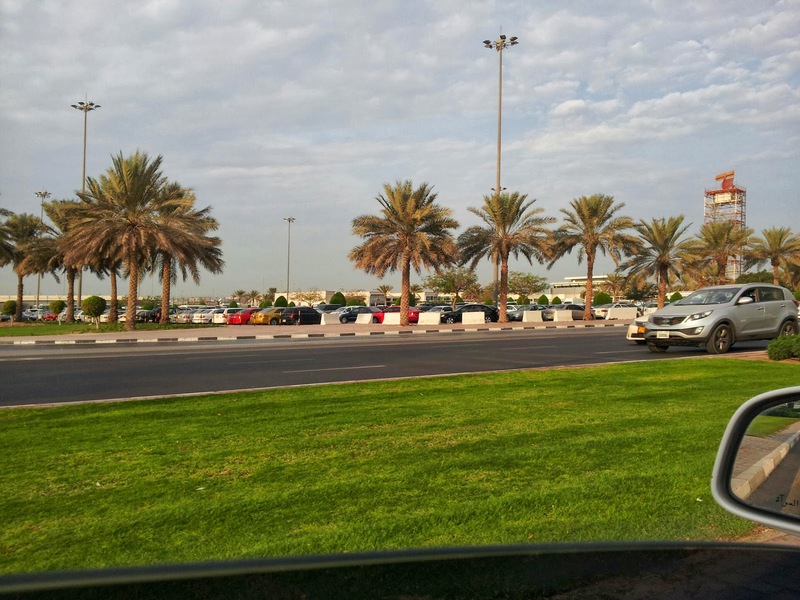 The GCC residents can enter the country as usual and the Ministry of Foreign Affairs and Residency reserves the right to approve the dual residence visa with the other countries. According to the naturalisation and residency laws and regulations; GCC residents looking for new jobs will be allowed to enter the country on visit visas, before getting employment. As per the new rules from UAE Ministry of Labour all employers must inform the ministry about any employee who is absent from the job for more than seven consecutive days without giving any leave application and an acceptable reason. Immigration departments in the UAE have put a suspension on issuing work visas to Bangladeshi nationals. The move is a part to reduce the crime rate and illegal immigrants in the country. As per a report from Dubai police crime rate is decreasing with new safety measures taken by them in coordination with immigration department. Most of the Bangladeshi citizens comes to UAE with a valid visa and later become a part of illegal immigrants. UAE immigration is controlling the issues of visas to reduce the threat faced by the illegal residents. The Bangladesh Association of International Recruiting Agencies (BAIRA) said that the UAE visas for bangladeshi workers is currently stopped. Old visas will get renewed for those who have new electronic readable passports with biometric information. There has been no confirmation of any ban or change in policy on visas by the Ministry of Labour. The block may be removed on a future date. Emirates ID Authority has launched a new advanced e-form which can be used to apply for or renew national ID cards through online for residents across the UAE. The online applicants can use this to fill the application form easily either in Arabic or English within 10 minutes. This will save the 30 Dirhams typing fee for users. Applicants using typing offices will have to pay the typing fees. The fees payment for Emirates ID can be made online using credit cards. The applicant has to create an online account on www.emiratesid.gov.ae to get the application form. Once the form is filled and payment is made, a SMS will be sent to the applicant’s mobile number given at the time of registration with RAN [Registration Application Number]. If required the application can be printed for the reference. 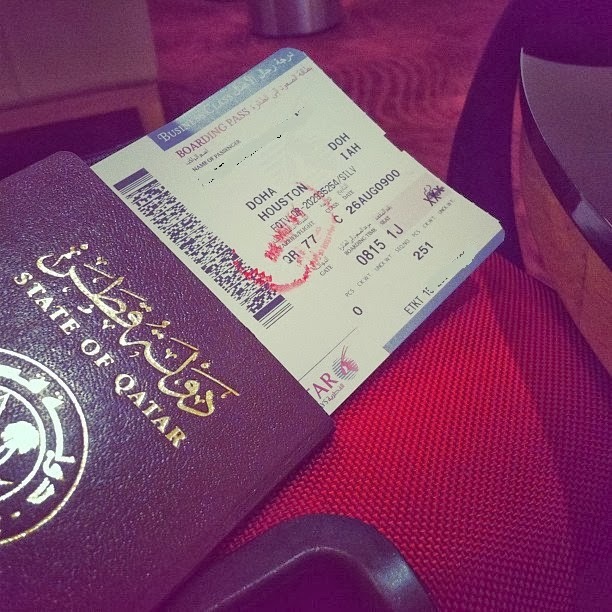 Emiratis have to scan and upload original passport and family book while expatriates have to scan the original passport only. Expatriates have to scan the first page and the valid visa page of the passport along with the online Emirates ID application. Wants to know if a labour ban may be imposed when you quit a UAE job while abroad. A ban may be imposed on you if you have worked in a company and quit your job while on vacation. It doesn’t matter that how many years you have worked for this company. If you went for a vacation and didn’t return for work due to some reason then you may be imposed with a labour ban by the Ministry of Labour in UAE. This is applicable for an employee with unlimited contract and valid visa. The procedure of giving resignation while on vacation is not acceptable as per UAE Labour Law. The original passport should be submitted to your company for visa cancellation. The quitting of job while on vacation is contrary to the UAE Labour Law and therefore the residence of the person will be cancelled automatically by the Department of Naturalization and Residency. Then the sponsor of the employee may submit application to the Ministry of Labor along with the cancellation of the residence by the Department of Naturalization and Residency. 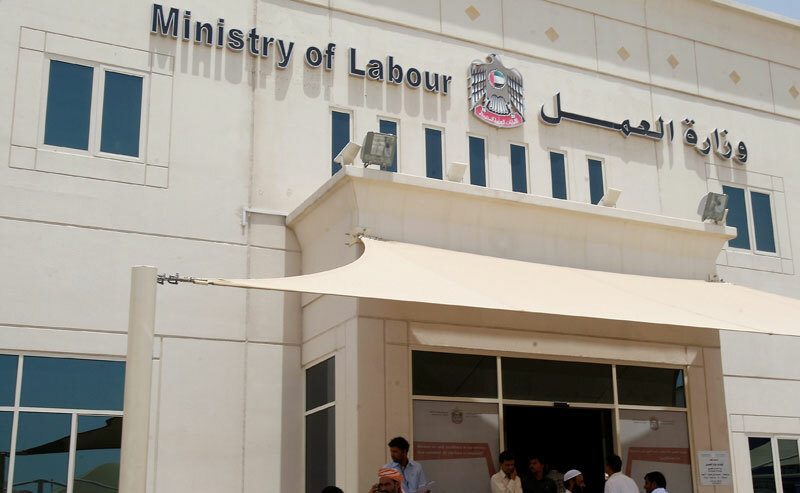 The sponsor company may ask the Ministry of Labor to cancel the labor card of employee as well as to impose one year work ban by the Ministry of labour. In this the person will not be able to enter UAE for work visa until after one year. He cannot apply for a new job in Dubai in this case. The visa rules from General Directorate of Residency and Foreigners Affairs requires the following documents to get visit visa to UAE for sponsor's relatives with blood relation - brother or sister. 1. The sponsor's salary shall be Dhs5,000 and accommodation or Dhs6,000 without accommodation. This salary should be shown in the bank statement. 2. Original employment contract attested from the immigration department by paying a fee of Dhs 130. 3. Visit visa fees of Dhs620 and Dhs2,000 as security deposit. 4. Period of visit visa will be for 30 days and it is non-renewable and non-extendable. 5. There is a second option for a period of 90 days visit for Dhs1,120 and security deposit of Dh2,000. Also, this visa is non-renewable and non-extendable. Security deposit is refundable at the expiry of visa by making an application along with the original receipt when the person exit from the UAE. If the visa holder whether for 30 or 90 days period exits from the UAE he will be able to obtain a new visit visa only after 30 days from the date of departure. As per the new visa rules from GDRFA-D; Dubai Residents who are wishing to sponsor family members must submit their bank statements to the residency department. The new rule is to ensure that people on very low salaries do not bring their families into the emirate. According to new rules set by the General Directorate of Residency and Foreigners Affairs in Dubai (GDRFA) all those new residency visa applications for their spouse, children or parents must provide a bank statement showing their monthly salary transfer. Those who need to bring their family members to Dubai on a residence visa must submit to the GDRFA with the sponsor's bank statement," a senior immigration official said. At least 3 months' bank statements are required for old UAE residents and at least one month's bank statement or a bank letter confirming the salary transfer for newly joined employees who want to sponsor their families. This rule is currently not applicable for sponsors who are renewing visas for their families. Previously procedure has been changed which was to submit a labour contract showing salary and a salary certificate from the company. The GDRFA official said that this was no longer enough and bank statements is also required. The renewal of the family's residency visas does not require submission of bank statements. A bank statement is also not required for visit visa applications for family members. The new residency visa application will not be accepted without a valid bank statement showing salary transfer. They must submit their labour card, a copy of their attested employment contract and salary certificate in addition to their present bank statement and registered tenancy contract, which should be in the name of the applicant, and also an Emirates ID card. The sponsor's salary should be at least Dh4,000 for a month plus accommodation status to get visa. A salary of Dh10,000 is required if a person want to sponsor their parents. You must make an application for a residency visa in Dubai for a new-born baby within 120 days of his/her birth. First of all you should request the birth certificate of the child from the hospital where he/she has born. For birth certificate following are the requirements and this is applicable to all non-UAE citizens. After presenting these documents, the hospital will issue the birth certificate in Arabic. The translation of this certificate into English can be done by attestation service in Al Baraha Hospital. A translator at attestation counter can translate your baby’s birth certificate into English and attested by Ministry of Health counter in Al Baraha Hospital, Deira for a fee of AED.10/-. Then it should be attested by the Ministry of Foreign Affairs at Al Seef Road, Bur Dubai by paying a fee of AED.150. Then you should proceed to your Consulate or Embassy and make a passport application for the new born baby. After getting the passport you can make the application for UAE Residence Visa. You should not exceed the 120 days grace period for obtaining the UAE Residence Visa application. Failure to do comply with this will result in getting fines. Following steps are the final requirements in getting UAE Residence Visa for newborn babies. The following documents should be submitted to the General Directorate of Residency and Foreign Affairs - Dubai in Al Jaffliya (Near Jaffliya Metro Station). You can get the application form for residence visa and emirates id from certified typing centres in Dubai. You should submit the documents to GDRFA-D counter at residency department along with Zajel sticker (pay AED.20 for this) for the delivery of your baby’s passport stamped with the residency visa. The following Immigration Departments in the UAE are the only authorities responsible to issue visas and residency services to expatriates in UAE. The 24/7 hotline service started by the Ministry of interior answers visa and naturalisation issues of expatriates. Residents and Visitors can Call the toll-free AMER service on 800511 to get answers to questions or doubt about visas for any of the emirates. The free smartphone app launched by General Directorate for Residency and Foreigner Affairs (GDRFA) in Dubai allows users to apply for visa renewals, access M-Visa services, and get answers to general visa queries. 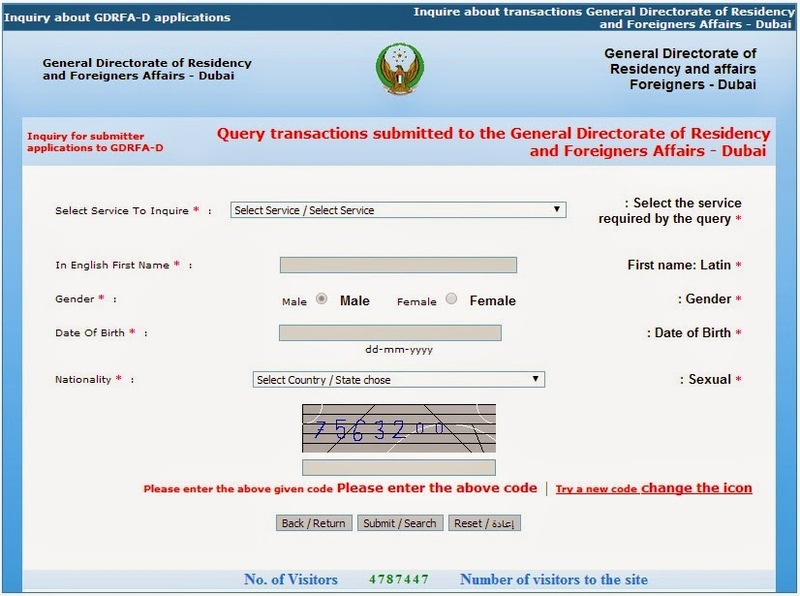 GDRFA-D also provides facility to check UAE visa status by online through DNRD website. Residence visa holders can check the status by entering passport no and name. The UAE Ministry of Labour announced the official working hours of customer service counters during the holy month of Ramadan. The counters will be open from 09:00 am morning to 05:30 pm in the evening. The notice of working hours during the holy month of Ramadan was issued by Minister of Labour - H.E. Saqr Ghoubash. The circular details that the official working hours of the employees in all service counters of the Labour ministry will work morning & evening shifts according to the applied rotation system. The morning shift will start at 09:00 a.m. and ends at 14:00 p.m. while the evening duty shift will start at 12:30 p.m. and ends at 17:00 p.m. Ministry focuses on Government institutional`s Excellence in administration work based on the Federal Law by Decree No. 11 for the year 2008. The morning and evening shifts will be applied only in the customer service counters while the rest of the staff will work from 09:00 a.m. to 14:00 p.m. during the holy month of Ramadan as per the flexible working hour’s system applied by the ministry. The flexible working hour’s system was started by Ministry of Labour in February 2013 and followed by all staff of the Labour ministry in Abu Dhabi, Dubai and all other offices in the United Arab Emirates. 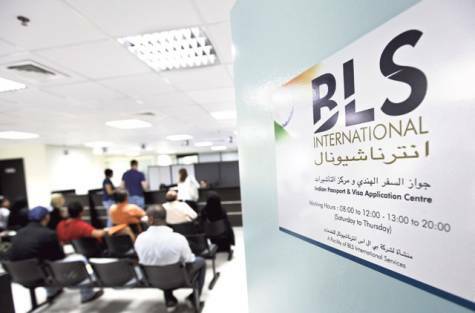 All Indian passport and visa centres run by BLS International in UAE will function with the changed timings during the holy month of Ramadan. BLS is the outsourcing agency of Indian Embassy and Consulate in the UAE. The announcement came from the Indian embassy in Abu Dhabi on Tuesday. The BLS International offices including Abu Dhabi Main centre, Al Khaleej Centre at Deira in Dubai, Sharjah Main Centre, Umm Al Quwain and Ras Al Khaimah centres in the Northern Emirates will be open from 8am to 6pm and the last token issued would be at 4.30pm. BLS centres working on the premises of Indian Associations and social centres will function with split timings of 9am to 12 noon, and from 3pm to 6pm. The last token issued will be at 4.30pm at these service centres. The Premium Lounges of BLS International at Dubai and Abu Dhabi will run from 9am to 5pm. As per the new rules from GDRFA-Dubai, the health insurance has become mandatory item for tourists to enter the country. Every person who needs to enter UAE on a visit or tourist visa should get a health insurance policy regardless of the nationality, age or gender. Only persons who get visas on arrival are exempted from this rule. In case of emergency the tourists and visitors can get free medical treatment as per the health insurance policy rules and regulations. Health insurance is a mandatory item to get any type of visit visa to the UAE. The Department of Tourism and Commerce Marketing in Dubai is looking after the matters concerning tourists’ health insurance. The companies, travel agents and tour operators should arrange for the health insurance policies for the visitors they are bringing in. The tourist company must follow up any person they brought here in case that person falls ill and needs to be hospitalized,” said Major General Al Merri – Director of GDRFA-D.
Noor Takaful Islamic Insurance is one of the authorized representative of GDRFA to issue health insurance policies for any type of visit visa to Dubai with a minimum coverage of Aed.150,000 per person per visiting. There are three different types of health policies according to the visit duration. Policy price is calculated based on the duration and collected along with visa fees by travel agents and tour operators. Aed185 for multiple entry visas which are valid for 180 days. 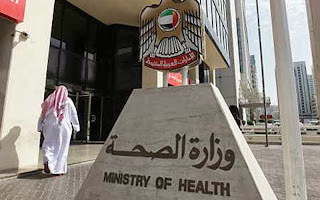 Health insurance policies can be purchased from special counters which are opened at the GDRFA’s headquarters in Bur Dubai, and other branches. The Ramadan 2013 working hours has been announced by Dubai Naturalization and Residency Department. The working hours during the Holy Month of Ramadan will be followed at the headquarters and all departments of the Foreign Service Centers in Dubai. The office timing of visa & residency sections of DNRD will be from 09.00 to 18.00. While the Customer Service Centre of the DNRD at Dubai International Airport will continue as usual to provide the services for 24 hours a day. Major General Mohammed Ahmed Al Marri - the Director General of the GDRFA – Dubai, confirmed at the announcement that Dubai Naturalization and Residency Department is keen on improving the quality and services provided to customers throughout the year in order to develop and improve the performance to provide smooth transactions for all visitors, residents and tourists coming to the Dubai emirate. He also praised the efforts of management and DNRD staff on their keenness to offer the best services to the public. Normal tourist and visit visas to UAE will be automatically cancelled and there is no procedure for a visitor to cancel their visit or tourist visa. It will be automatically cancelled when you exit from the country. It means that if you don’t have a multiple-entry visa, you will have to make an application for a new tourist or visit visa if you want to return back to the UAE. A security deposit with the immigration department is mandatory for personal sponsorship of a visit visa to UAE and this deposit refund will be made once the sponsored visitor have left the country. Visitor doesn’t need to do anything for this. Immigration department will update its system records with the departure details of tourist or visit entry permit holder. The sponsor has to submit the original receipt of the security deposit he had received at the time of visa application. He has to submit this along with a refund application to receive the refund. The refund amount will be credited to the sponsors’ bank account and has to provide the IBAN number for his bank account. The UAE Labour Law on retirement age has been amended by the ministry effecting the age limit from 60 to 65 years. The employment visa for over aged employees are issued subject to the Ministry of Interior approval. The same law applies to employees in private companies including private company in a free zone. It is not mandatory for employers to renew the visas for over aged staff and not obliged to extend employment contracts to employees beyond the age of 60. Sponsor should make a request to Ministry of Interior to keep the employee remain working in the UAE. Dubai free zone authority has their own regulations for work visas although these are based on UAE Federal law - 1980 no 8 which covers laws relating to employment. The renewal of work visas for employees of companies incorporated in the free zone and who already reached the age of 60 is subject to the approval from Ministry of Interior. The ministry may renew the work visa of such employees aged 60 or over for one year. The Ministry of Interior may renew the employment visa for one year on expiry at its discretion and continue this process until the person reaches 65. Once your work permit and residence visa in UAE is cancelled, you will have up to 30 days (not exact 1 month) to exit from the country. If you haven’t went outside the UAE then you will be fined AED.25 per day for the first 6 months (180 days), AED.50 per day for the next 6 months (180 days) and AED.100 per day after 360 days from the visa cancellation date. Normally the company who has employed you in UAE will arrange for the cancellation of your residence visa and work permit when you have resigned for changing the job or terminated or at the time of voluntary retirement. The company sponsored items should have to return for completing the residence or work permit cancellation procedure. Personally procured items like flat in your name, bank accounts, credit cards, telephone subscriptions, electricity and water accounts can be retained if you are not leaving the UAE and only changing the jobs. If you are living in accommodation provided by the company then you will have to vacate it once your visa is cancelled. If your work visa is in one of the UAE free zones, then your employer and your sponsor are not same - the free zone authority will be the sponsor and not your employer. The free zone authority will issue the required documents for everything. The work permit cancellation before completing two years in a company will attract an employment ban of six months in the labour department. Entry permits are classified into different sections as work, mission and residence. 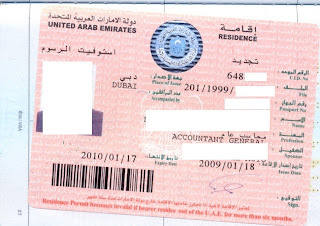 An entry permit is used to enter the UAE through any of the entry points. A visa entry permit is usually valid for up to 60 days from the date of issue as per the rules printed on it. 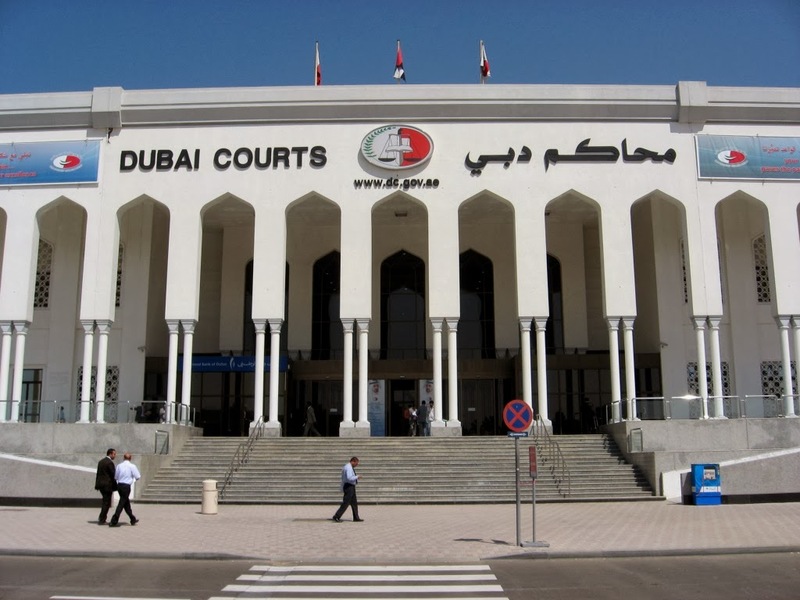 For example, if a residence visa entry permit is issued on 01 July 2013, then you can use it to enter the UAE through the entry points anytime from 01 July 2013 until 29 August 2013. 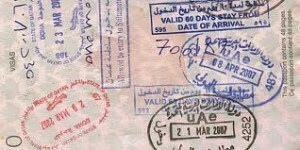 Once you enter into UAE you can stay up to 60 days before stamping the residence in your passport. Corporate sponsored application signed and stamped by the sponsor. You can renew for the first time after 60 days from the date of issue and then renewing it for the second time for another 60 days after the first renewal period. Each renewal is valid for 60 days. After the two renewals the permit will expire and you will have to make a new application through eform. This applies to entry permits for tourists, visitors, employment, residence, etc. The General Directorate of Residency and Foreigners Affairs of the emirates control the issue of entry permits. The UAE Ministry of Labour has specified four types of violations which will disqualify a company or employer from getting new work permits and opening a commercial register for setting up a new business or establishment. The new set of standards will come into effect from today onwards. If the employer is not following these rules, the ministry will not issue the ‘Establishment card’ or new work permits to recruit employees; if any of his companies/establishments or if another company in which he/she is a partner has committed any of these four specific rule violations. The employer would not get these also if any of his partners in the new company has a company which has committed the violations. Non-renewal of the trade licence of the establishment for four months from the expiry date. The new rule comes into effect by the resolution issued by Saqr Ghobash Saeed Ghobash - the Labour Minister. Issuing Residence visa from Sharjah immigration department is divided into two sections as work residence for companies and family. Private Company employees are issued with Residence for two year validity only. Government employees and partner’s residency are valid for 3 years. Family Residence visa for families of private company employees will be issued for two years and the families of the partners and the government employees are issued for three years. Establishment Card Copy for partners. Copy of trade license for partners. Medical examination with validity of 3 months. Residency application signed and stamped by the sponsor. 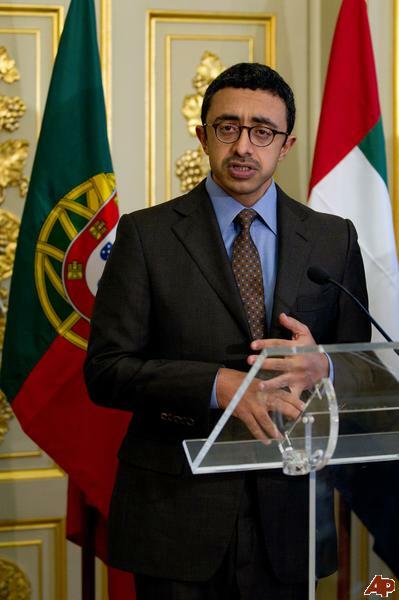 Sheikh Abdullah bin Zayed Al Nahyan - Foreign Minister of UAE has urged European nations to change the visa rules and approve a proposal to allow citizens of United Arab Emirates to access European borders without a visa or give a free visa on arrival . He expressed this after a meeting with Greek PM Antonis Samaras at Athens: “In the coming weeks, the European Union is expected to make an important decision on the expansion of the list of countries that are granted visa free access to the Schengen Area. “For over two years, the Greece Govt. has publicly & repeatedly expressed its view that the UAE should be added to that visa-free list. We are grateful for that support,” Sheikh Abdullah said. Etihad Airways has started online visa-processing service enabling tourists to visit Abu Dhabi and other emirates. The service is currently available for passport holders from India, South Africa and other countries. Etihad launched this service in coordination with the Indian-based TT Services. TTS is one of the main visa outsourcing service provider with offices in India, Sri Lanka, South Korea, Sweden, Russia and the UAE. The Embassy of the United Arab Emirates announced that starting from June 1st, 2013, the Government of the United Arab Emirates has restored the visa on arrival status for Canadian passport holders. As per the new rule from the immigration department has restored the previous visit entry requirements to enter the UAE and through this update regular Canadian passport holders will not require a visa to enter the United Arab Emirates (UAE). Canadian passport holders will be allowed entry free of charge to the UAE with their visit arrival stamp. This means that visas will be issued on arrival in the UAE airports. Document application in advance of travel through travel agents or airlines is no longer required. As per the new rule the Canadian passport will be stamped for 30 days visa upon arrival. If further stay is required for the visitor then they must make an application for extension to the local General Directorate of Residence and Foreign Affairs three days prior to the expiry date. 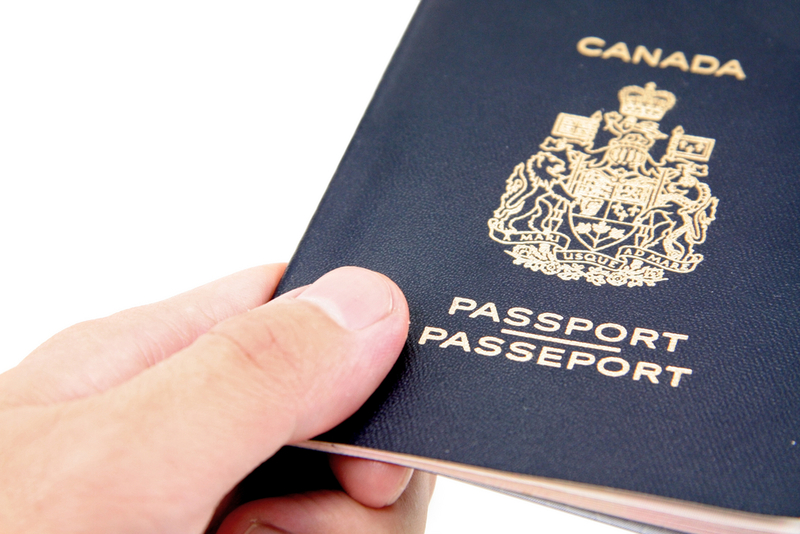 Canadian diplomatic and special passport holders still require a visa to visit the UAE.